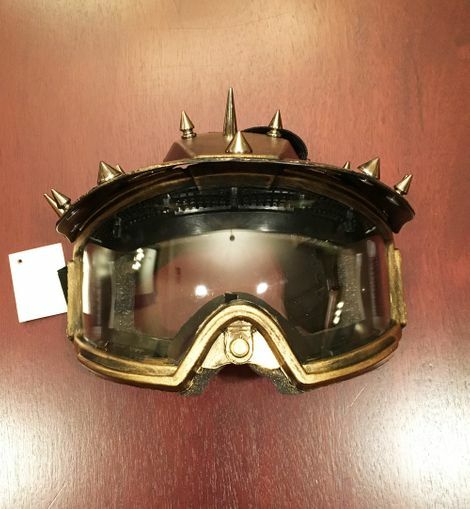 This Steam Punk sand mask is hand painted and accented with silver spikes. Mask is a great costume accessory and has a thick black elastic band. Mask is made out of Plastic and metal.